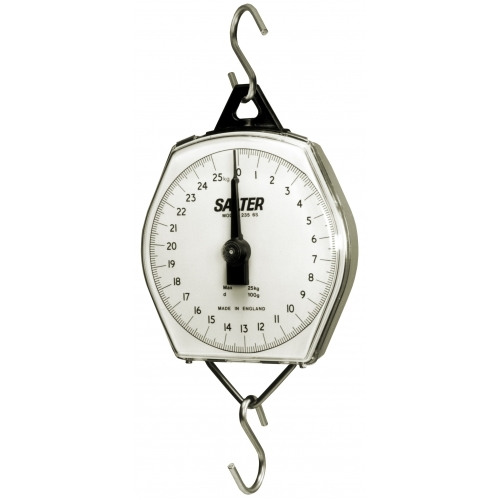 Salter Brecknell - Compact, robust and corrosion resistant suspended scale with 150mm-diameter dial. Housed in a tough ABS plastic case with a shatterproof polycarbonate dial cover. Scales supplies in Metrix ONLY for availablity on dual readout version of these scales, please call for info.